Missing Pasadena Boy Found in Venice Beach - Yo! Venice! 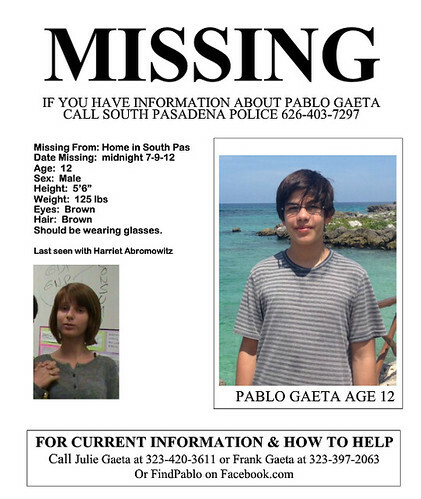 12 year old Pablo Gaeta, who ran away from his South Pasadena home on Monday, was found here in Venice at around 2 am this morning with his friend Harriot Ambromowitz, also pictured on the flier. Thanks to the LAPD for finding the runaway and reuniting him with his worried family!